For your convenience we offer kits that include additional items you need to complete projects from Happy Memories Quilts Pop-Up patterns. The kits are priced at a discount from buying the items individually. 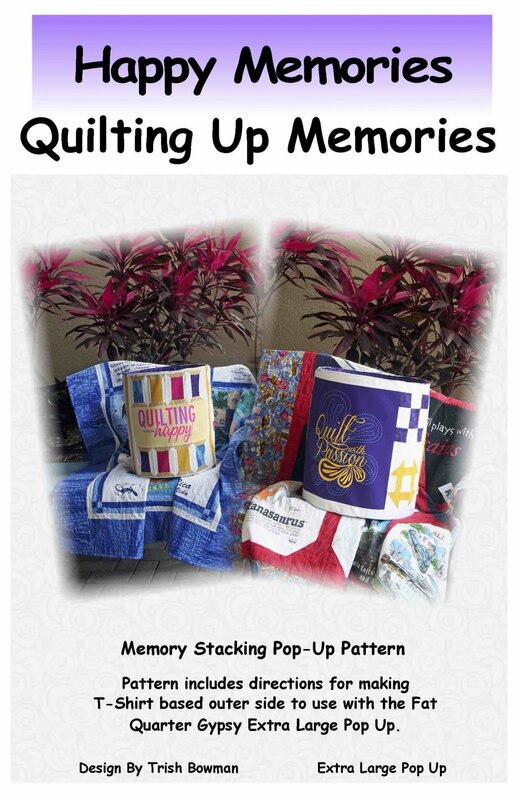 Quilting Up Memories Pop-Up Pattern Kit. Discounted bundle of patterns and templates for this project. Quilting Up Memories Pop-Up Pattern Kit. Discounted bundle of patterns, fusible knit, and templates for this project.